These last few weeks have been amazing because Skyzoo has been releasing a tidal wave of material for the masses. In a post that I put up a couple weeks ago, I mentioned that Sky was supposed to be dropping a mixtape entitled Theo Vs. JJ: Dreams Vs. Reality. I was apprehensive as to whether or not it was going to come out because A Dream Deferred is right around the corner. After I got home from classes yesterday, I decided to go through my usual routine of checking my social media outlets, and I was pleasantly surprised to see that Skyzoo dropped a new video for the track “First Generation Rich” – which will be featured on Theo Vs. JJ: Dreams Vs. Reality. Jahlil Beats (of Roc Nation) lays down a melodically mellow masterpiece that enables Skyzoo to carve out his lane and conduct his craft. In all reality, there was no reason to doubt whether or not Skyzoo was going to put out Theo Vs. JJ because I don’t think he’s capable of disappointing his fans. Based on the quality of The Great Debater, Skzyoo very well could be releasing two album-quality projects in back-to-back months – clearly nothing to complain about. Make sure you download Theo Vs. JJ: Dreams Vs. Reality when it drops later this week; rest assured, there will definitely be a post here at Mind Inversion. 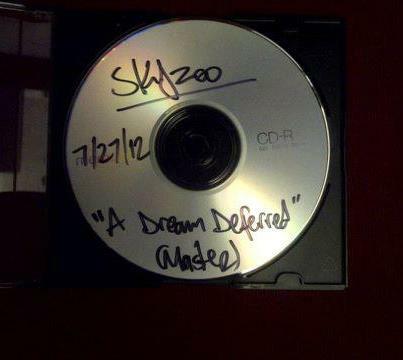 Since the buzz keeps growing for A Dream Deferred, Skyzoo decided to leak the artwork and tracklisting for the album. I’m excited about the dope album cover, but I’m even more ecstatic to see the producer credits and guest features. As per usual, Sky will be spitting over beats by !llmind, Black Milk, 9th Wonder, Best Kept Secret & Eric G, but he threw two tracks by DJ Khalil into the mix, and this really excites me: I’ve been saying for a long time that DJ Khalil is one of the best producers in the game, and Skyzoo is my favorite emcee, so naturally my anticipation is off the radar. On the vocal side, listeners can expect to hear collaborations from Talib Kweli, Jill Scott, Freeway, Jared Evans and Raheem Devaughn. I know I talk about this man quite a bit, but I believe in his music so strongly; if liking top-tier lyricism was considered a crime, then I would definitely be guilty of a hard felony. Make sure you go out to your local record store and grab A Dream Deferred on October 2nd. I feel like the lord is constantly answering my prayers pertaining to this album. I just put up a post the other day about Sky finishing his upcoming album A Dream Deferred, and today he dropped the lead single – “Jansport Strings”. 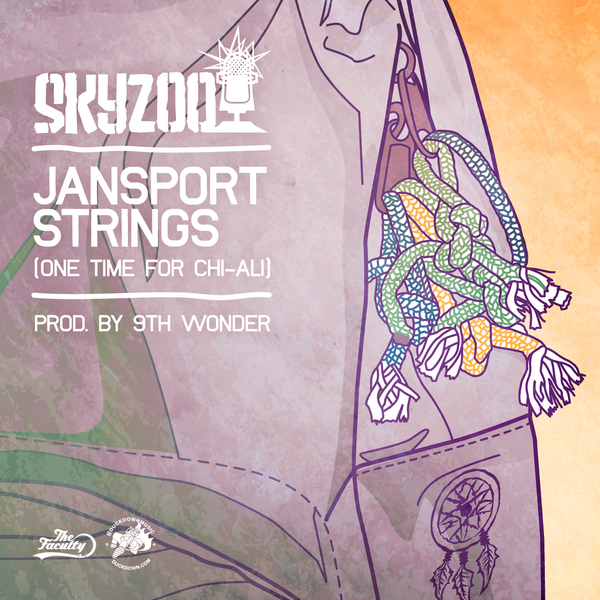 9th Wonder lays down a laid back beat full of jovial horns, and as expected, Skyzoo spits cryptographic rhymes about growing up with his friends in Brooklyn and “earning his Jansport Strings”. “The song is a 3 minute auto-bio of me as a kid in Brooklyn and seeing more than my friends and I had bargained for. In essence, my Jansport strings tied it all together, seeing what we all saw and what it made us. The ending is a clip from Video Music Box, the legendary NYC video show run by DJ Ralph McDaniels. This episode in particular was the debut of Chi-Ali’s ‘Age Ain’t Nothin But A Number’. 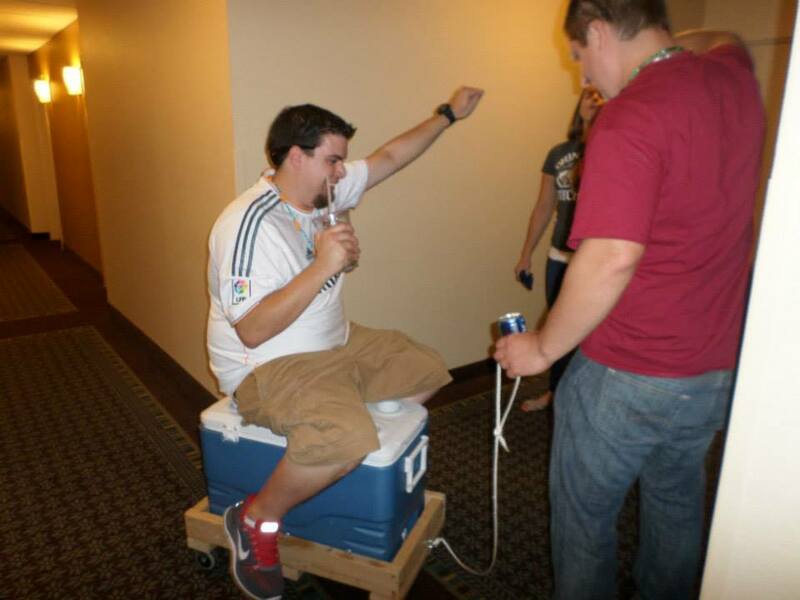 Seeing that video that day on this episode of VMB made me start rhyming. This clip was literally the moment that changed my life”. It was also announced today that A Dream Deferred will be dropping on October 2nd via Duck Down Music and Skyzoo’s new label imprint The Faculty ; I’m so happy that it’s only a couple months away. I’ve been waiting on this album since Live From The Tape Deck dropped, and even though that was only two years ago, it seems like far more than that. If Sky’s previous work is any indication of listeners can expect, then A Dream Deferred will change the way that we interpret lyrics… again. There is one thing that I have to ask before I descend any further into this post: is the opinion of The Source and its writers even relevant anymore? I personally feel like it has become one of the most watered down and bland Hip-Hop magazines on news stands; most of the articles, if not all, are full of information that is readily regurgitated without any effort whatsoever. Here’s the sad part: I remember when I was younger and The Source was my primary means of getting information on the Hip-Hop game. Sadly, times have drastically changed; magazines like Wax Poetics and Respect fuel my fire when I need some gasoline, and if I’m really hard up, I’ll go to XXL. I was at Barnes & Noble the other day, and something on the cover on the July issue of The Source caught my eye: “Top 50 Lyricists”. I had to humor myself and take a look at what the brilliant reporters over at The Source had to say about this issue. 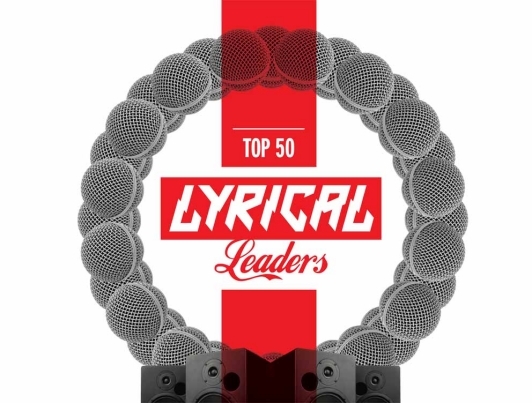 With a tagline like “Now in an age when lyricism is taking a backseat to celebrity, The Source brings you the top 50 lyricists of all-time in an effort to put some focus back on the platform”, you would think that they actually had a great list – not quite. I will admit that there were a lot of names that I didn’t even expect to see on the list – Pharoahe Monch, Black Thought, Guru & Big L to name a few. At the same time, there were emcees that I did not agree with at all, and the ones that I thought should have been included were very low on the list. In my opinion, some of the greatest emcees in the history of the game didn’t even get a nod at all. – How do you even include Rick Ross or Lil’ Wayne on this list? Aren’t they the epitome of lyricism taking a backseat to “celebrity”? I think so, and I can assure you that lyricist isn’t the first adjective I would use to describe The Teflon Don or Mr. Carter. – Black Thought was ranked #34. What? You’re kidding right? Mr. Trotter deserves a top ten nod, especially amongst artists like Lil’ Wayne and Kanye West – who were all featured higher. – Royce Da 5’9″ ranks in at #48 – just five spots below DMX. I don’t really think that I need to comment on this one too much further; most people reading this article probably agree that Nickel should much closer to top twenty. – It’s great to have Lil’ Kim and Queen Latifah on the list representing the females, but in all honesty, Jean Grae and Rah Digga are both far better lyricists than the aforementioned women. – I’m very happy that GZA & Method Man got a nod on this list, but GZA should have been higher without question; furthermore, where in the hell is Ghostface Killah? Tony Starks didn’t even make this list, and he should have easily cracked the top 15. – Cats like Masta Ace & C.L. Smooth, and MF Doom didn’t get any recognition – not even an honorable mention. – Although artists like Skyzoo and Elzhi are younger and haven’t garnered as much recognition as the rest on this list, they possess an enormous amount of skill, and if I had a say, they would have gotten some notoriety. I really could go on-and-on about this list; they got a lot of things right, but outside of the top 10, they got even more wrong. At the end of the day, I can only voice my opinion and hope that people within the Hip-Hop community will open their eyes and realize that there is much more out there than what is seen on TV and heard on the radio. I saw this a few days ago, and it made me ecstatic. For those of you that don’t know (how could you not know about him at this point? 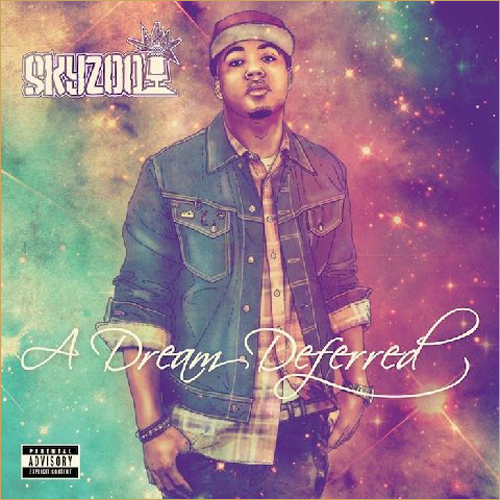 ), Skyzoo is an incredible lyricist from Brooklyn, and everything that he builds breathes brilliance. I’ve been following his music very closely for the last four years. His debut album The Salvation was everything a East Coast Classic should be: Incredible soul-based beats with deeply coded conscientious lyricism. Every time that I listen to The Salvation, I pick up on new things, and I find an even greater appreciation for his ingenuous writing style. In the interim since The Salvation, Skyzoo has dropped a critically acclaimed album with producer !llmind (Live From the Tape Deck), and a momentous album-quality mixtape (The Great Debater). I heard a while back that Sky was supposed to be dropping another mixtape before A Dream Deferred – Theo Vs. JJ: Dreams Vs. Reality, and it was supposed to proceed right where The Great Debater left off; however, from what I’ve read and seen, Theo Vs. JJ was supposed to drop sometime in June/July, so it’s hard to say if it will be dropping before A Dream Deferred. This is what excites me about A Dream Deferred: it will pick up exactly where The Salvation left off. The Salvation explored a great deal of topics and serious life situations, and A Dream Deferred will give listeners an insight into the outcomes that occur when the aforementioned thoughts are manifested into realities. Even though I’m partially biased because I’m such a huge fan, it sounds like Skyzoo will be able to comfortably add another classic underneath his belt. I’ve said it before, and I’ll say it a million times over: Skyzoo is my favorite emcee, and I truly think that he’s one of the greatest lyricists of this or any generation. It’s no easy task to live up to the hype when you’re given titles like “The writer of writers”, but Skyzoo embraces the love that he’s given, and he continually mesmerizes the masses with thought provoking and intelligent lyricism.